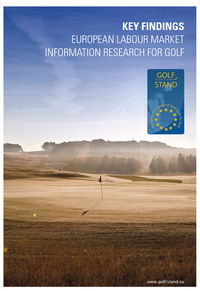 As part of England Golf's research strategy, the Golf Club Membership Questionnaire is distributed to all affiliated golf clubs every two years, in order to build up a picture of junior and adult membership within golf clubs in England. They have also recently produced a Junior Organisers' Handbook - A comprehensive guide to running a successful Junior Section. A round up of recently published articles from a range of magazines and online newsletters. All the usual titles have been covered, including the latest issues of Golf Course Architecture, Golf Business Development, Greenkeeper International, Greenkeeping, STRI Bulletin for Sports Surface Management and the GCA Journal - the journal of the Japanese Society of Golf Course Architects.